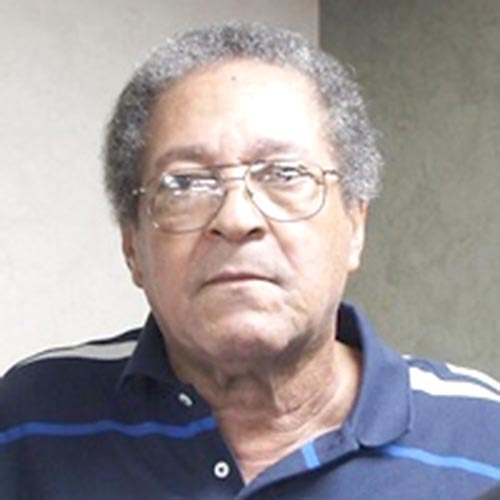 Home Obits MR. JOHNNIE M. FREEMAN, SR.
MR. JOHNNIE M. FREEMAN, SR.
Celebration of Life Services will be in the Chapel of the Winnfield Memorial Funeral Home, 318 North St., Natchitoches, Saturday, Aug. 12 at 11 a.m. The Rev. George Kirts will officiate in the absence of his Pastor, the Rev. Alfred Williams III. The remains will lie in state for public visitation from 9 a.m. to service time. Burial with military honors will follow the service in the Campti Community Cemetery. Final care arrangements are under the direction of the Winnfield Memorial Funeral Home. Our beloved Johnnie Maurice Freeman Sr. was born in Campti to the parentage of the late Mr. Henry James Freeman Sr. and Mrs. Irma Barnum Freeman Dec. 15, 1947, as the third of five children which blessed this family unit. God, in His divine providence, called him from time to eternity Aug. 4, 2017, while a patient at the Christus St. Francis Cabrini Medical Center in Alexandria. His Christian journey was rooted in a conversion to Christianity and uniting with the St. Peter Baptist Church of Campti. This memorable gentleman was a graduate of the Campti-Creston High School and then went on to earn a Bachelor’s Degree at Texas Southern University in Houston. His professional resume included a four-year stint in the United States Air Force where he attained the rank of Staff Sergeant and included a tour of duty in Vietnam, employment with the United States Postal Service and with the railroad transportation industry. He was preceded in death by his parents and two brothers: Larry Freeman and Henry Freeman. At the time of his passing, he was married to the former Gloria Cornwell of Natchitoches and they made their home in the Campti community. Those who will mourn his passing but cherish his life are his wife, Gloria Cornwell Freeman of Campti; five children, Johnnie Freeman Jr. (Gerica) of Houston, Bradley Freeman (Mattie) of San Antonio, Texas, Brande Freeman of Houston, Christina Freeman of Campti and Sharon Babers (Ben) of Jonesboro; siblings, Daisy Brown and Ronnie Freeman (Gail), both of New Caney, Texas; grandchildren, Sydney Freeman, Paige Freeman, Ashlynn Smith, LaVar Caston II, Aaliyah Caston, Cameron Caston, Christopher Revels, Nevaeh Revels, Kaira Freeman, Tarine Grace, Bradley Freeman Jr., Ava Freeman, Travis Smith, Pierre Smith, Benjamin Babers Jr., Shadricka Babers, Cameron Babers and a host of nieces, nephews, other relatives and friends.